How to Find Life Insurance if You Have Sickle Cell Disease. One of the surest ways that lead to paying too much for life insurance is to apply with only ONE company. Alternatively, TermLife2Go represents dozens of the top rated best life insurance companies and top 10 no medical exam companies in the marketplace. By representing so many carriers we are able to provide our clients with choices. Having a wide array of choices to pick from is how we help our clients with sickle cell disease locate the best life insurance rates. Please give us a call today for a free consultation. Having a medical condition isn’t easy; not only can medical concerns affect your daily life, but they can also hamper your eligibility for important life insurance coverage. Life insurance companies treat every disease and disorder differently, but if you have sickle cell trait or sickle cell anemia, then keep reading to learn more about how to apply for high risk life insurance. What is Sickle Cell Disease and why do life insurance companies care? 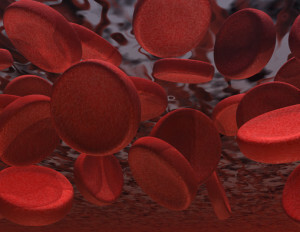 Your red blood cells contain something known as hemoglobin. Hemoglobin is responsible for carrying oxygen to the rest of your body, enabling it to function. Sickle-cell disease is an abnormality in hemoglobin that ultimately disrupts the delivery of oxygen to your body. Sickle-cell disease is a hereditary form of anemia. Sickle-cell disease is a cause for concern for life insurance companies because it can cause major issues to occur in your body, and in some cases cause early mortality. Sometimes, a person has a single abnormal copy of the hemoglobin gene, but doesn’t show any symptoms. This is known as sickle-cell trait. In this instance, it only means the person carries the genes, but doesn’t have the actual disease. Having sickle-cell trait should not interfere with your life insurance application and you should be eligible for a standard policy rate. How do I know if a life insurance company will offer me coverage with sickle-cell anemia? These methods can drastically reduce the health risks and high mortality rates than can occur in a sickle-cell patient. If you are successfully on any of these treatment plans, and you are not experiencing any major symptoms or complications, you should qualify for one of the different types of life insurance policies the companies we represent offer. Acute chest syndrome: two or more chest-pain related symptoms, the cause of a high number of sickle-cell disease deaths. Any of these complications are considered severe, and are red flags for life insurance companies. They may disqualify you from receiving a life insurance policy, but before you rule it out you should speak to a trained life insurance professional. Clients with a more severe type of sickle cell disease may need to consider purchasing burial life insurance from one of the top 10 best final expense companies. What will happen when I apply for life insurance with sickle-cell disease? Whenever you apply for life insurance, the agency will scrutinize every aspect of your life and in particular your health. Having sickle-cell disease will garner more attention from a life insurance company. A life insurance agent will ask you multiple questions related to your sickle-cell disease before they underwrite a life insurance policy. To help you prepare for your life insurance application process, we’ve put together a list of possible questions they may ask you. When did you learn you had sickle-cell anemia? Do you have sickle-cell anemia or sickle-cell trait? Have you had any major complications due to your sickle-cell disease? Have you ever been hospitalised due to sickle-cell disease? Have you had a blood transfusion? If yes, when? When was the last time you suffered symptoms? What symptoms did you suffer? Have you applied for life insurance before? Have you had any diagnostic tests done in the last one year? If yes, what were the results? Are you using preventative treatment? What is your treatment regimen? When was the last time you saw a specialist about your sickle-cell anemia? These questions will help a life insurance company to assess your risk level. The insurance provider uses this to determine whether early mortality is likely in your situation. The better your overall health, the more likely you are to be approved for a policy. What if I have experienced complications due to sickle-cell anemia? If you have suffered any complications or you are otherwise unhealthy, it will definitely be harder for you to attain a full life insurance policy. There are other options worth exploring, such as a life insurance policy that covers you unless your death is related directly or indirectly to your sickle-cell disease. To know your options, your best bet is to speak to a life insurance expert such as the team at TermLife2Go. How can TermLife2Go help me? Applying for life insurance with sickle-cell anemia can be tricky. It is important to understand that all life insurance companies operate in a different manner; some life insurance companies may be better for your situation than others. It is also important to understand that when you apply for a life insurance plan, there is more to consider than just your sickle-cell disease. We also have to keep in mind your overall health, lifestyle choices, the type of coverage you desire, and your budget. TermLife2Go factors in all these variables and then recommends a life insurance company and policy that’s right for your situation. We can do this because we have extensive knowledge of the various policies offered by dozens of the best life insurance companies in the United States. Just give us a call when you get a chance and we’ll see what we can do for him. I have apply for life & health insurance twice and have been turn down by 2 companies because I have sickle sell disease. I found out I had sickle cell at a very young age, but it never had a big impact on my life, I do get crisis sometime once a yr , other times never. I take thrihemic ( iron tabs) & folic acid everyday , I do exercise often. I live in the Caribbean so I do drink a lot of water to stay hydrated. Without knowing which companies have already declined you, we wouldn’t know for sure if we might have a possible solution for you. Additionally, because you currently live in the Caribbean, we would not be able to assist you in purchasing a life insurance policy unless in fact you did have plans to visit the United States in the near future. My daughter has Sickle Cell Anemia and is currently prescribed Hydroxyurea and Lisinopril. She has regularly scheduled appointments, but they’re for preventative care. She has done very well for many, many years. While it will certainly be more difficult of those with Sickle Cell Anemia to qualify for a traditional term or whole life insurance, it is still possible. So why don’t you have her give us a call and we’ll see what we can do for her. Are you able to assist sickle cells patients in Africa to find health cover? My brother is a SS sufferer living in Nigeria. Our family is looking for health cover for him but companies such as BUPA, AETNA have all declined to cover him. Please send me a response on email too. Unfortunately, we only help people find life insurance coverage so we really don’t know much about the requirements for acquiring health insurance. Sorry we couldn’t be more helpful. For those with sickle cell anemia combined with kidney disease, finding traditional, fully underwritten, term of whole life insurance is going to be difficult, especially if they’re looking for larger death benefit amounts. For this reason, we would advise you to simply give us a call so that we may learn a bit your condition and what your ultimate life insurance goals are. Previous Post: Life Insurance after Gastric Bypass Surgery, Gastroplasty, or Bariatric Surgery. Next Post: Life insurance with Charcot Marie Tooth Disease.